Sony Ericsson Xperia Arc is stunning enough for the first impression. Gorgeous shape and large screen makes it impressive even for the first time. This is a phone with everything you normally expect from Android – GPS, WiFi, sensors a-plenty, Bluetooth 2.1, 480 x 854 pixel screen with multi-touch, a 1GHz CPU, FM radio, digital compass and HDMI out. it’s an LED-backlit TFT LCD screen. This means that, although it doesn’t offer the eye-piercing brightness of an AMOLED display, it delivers more subdued, accurate colours. Very usable outdoors in direct light. Turn the screen on, bright and sharp.Icons are clear and well defined thanks to Ericsson’s reality display technology, whatever that maybe, with nothing in the way of pixilation on show. Solid-feeling 4.2-inch massive crystal-clear display fills much of the front of the phone. The 480×854-pixel screen doesn’t match the iPhone 4‘s 640×960-pixel display, but it’s still sharp and beautiful to look at. Compared to the 4-inch, 480×800-pixel Super AMOLED screen on the Google Nexus S, the Arc’s display looked noticeably sharper and clearer. With the help of Sony’s Bravia Engine picture enhancement technology, the Arc’s LED backlit screen looks as stunning as any phone screen we’ve seen, including the iPhone 4’s Retina display. The handset itself is only marginally longer than the old HTC Desire-and slimmer.In fact, you get an HTC Desire HD-size screen in the body of a much smaller, slimmer phone. 9mm is the thickest part of the phone while only 8.7mm at the middle.With the curving design, it is easy to hold even the phone is quite large. The back of the Xperia Arc is simple, with its curved case lending it quite an air of style. it sits nicely in your hand thanks to that curve and feels very ergonomic. The slot at the bottom is for the external speaker (next to the Sony Ericsson logo) and there’s the 8.1 megapixel camera at the other end with the flash. This phone will also do continual focus while you’re recording video, a great addition. They’re thin and sit just at the bottom of the main screen. Below the angled bottom section you can just see the lanyard loop and microphone. Buttons are solid silvery plastic, plus there is a piercing white light shining through the gaps between them to help guide your thumb in the dark. Top of the phone: a microHDMI output hidden behind a little dust stopper, Using this you can output your HD videos to TV and other equipment. It’s a fabulous screen on which to watch movies and also to browse photos; if you fancy watching on a bigger screen, the HDMI output lets you go large too. Power button is recessed to stop accidental presses- so tiny it can be a little hard to find. On the right is the microUSB connector for charging and syncing plus the volum up / down buttons and, way down in the bottom corner, the camera button. It is a delicate camera key. Press and hold from anywhere in the phone to initiate the camera, then press down slightly to start focus. We know that all HTC devices are popular in the public.But there are some are more popular and attract more attention from the public,for their charming shape or outstanding features,etc.And HTC Thunderbolt is one of those products. Specifications of HTC Thunderbolt:a large 4.3-inch touch screen, 8-megapixel camera with HD video capture, video calling via front-facing camera, HTC’s Sense software, and 2nd-generation Snapdragon processor. Other features include mobile Wi-Fi hotspot, DLNA wireless media streaming, kickstand for media viewing, 3.5mm audio jack, FM radio, and 8 GB of internal memory plus memory card slot. 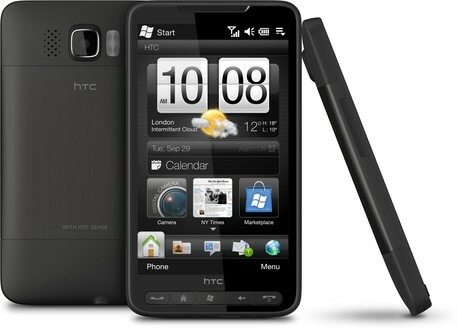 The HTC Thunderbolt is a smartphone that resembles the HTC EVO 4G, the first phone to run on a 4G network. The HTC Thunderbolt is more feature-packed than the EVO 4G and has beefier specs. It is common to see that portable devices would support video playback and it becomes one of the basic functions for portable players including smartphones. For HTC Thunderbolt,it supports :DivX/Xvid/MP4/H.263/H.264/WMV9/player.Users can transfer their favorite DVD movies or import movies from downloading to Thunderbolt, especially when the screen is larger than normal:4.3 inches!Enjoy movies any time and any where. How to rip DVD movies to HTC Thunderbolt?Check Any DVD Cloner Platinum!Helps you to rip any DVD movies for HTC Thunderbolt with high quality.Just directly convert DVD movies to MP4,enjoy your DVD movies on Thunderbolt freely right now! It is known that “dual” and “core” become popular and some kind of “have-to-be” with mobiles nowadays. 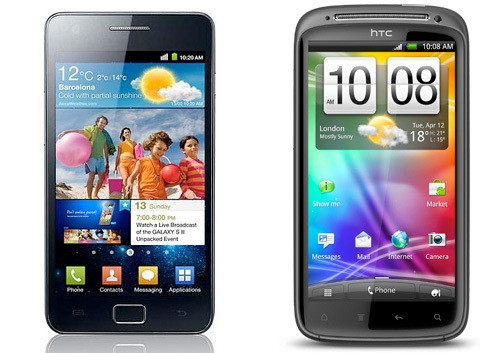 HTC Sensation 4G and Samsung Galaxy S2 both have dual core and it should make sense for us to compare them here. You may also need some tips if you plan to purchase one of them but decision is not made yet. How to watch DVD movies on ANDROID PHONES? Both the Samsung Galaxy S2 and HTC Sensation carries a more than capable CPU ,both running on Android OS, v2.3 (Gingerbread) operating system and are power driven by Dual-core 1.2GHz ARM Cortex-A9 processor and 1.2 GHz dual-core processor respectively. This indicates that although the operating system is same but with different power house you can expect Samsung to be more efficient and faster. A powerful camera or cameras are a must for powerful smartphones. So here is the catch as both HTC and Samsung are featured with the huge 8MP camera with the resolution of 3264×2448 pixels together with attributes like Geo-tagging, touch-focus, face and smile and image stabilization. The only difference that can be seen is the presence of dual-LED flash in the Sensation as compared to simple LED Flash in the Galaxy. CONNECTIVITY: Depends on what you need. Samsung galaxy S2 and HTC Sensation 4G have both 2G and 3G network connectivity. The 2G band consists of GSM 850 / 900 / 1800 / 1900 frequency bands. HSDPA 900 / 1700 / 2100 and HSDPA 850 / 900 / 1900 / 2100 is found in galaxy s2 and HTC respectively. DIMENSIONS AND WEIGHT: S2 is better in the shape while HTC is lighter in the weight. 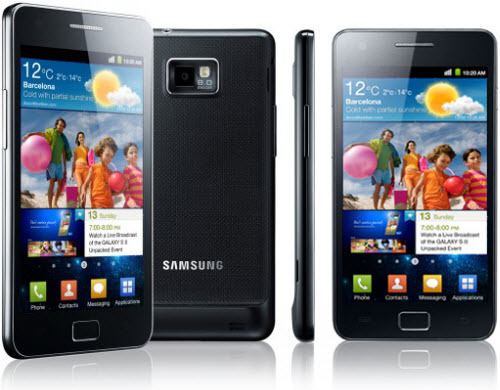 Samsung has been carefully designed by keeping in control the dimensions and the weight of the phone. This perfect blend has made the phone thinner and lighter than the HTC Sensation 4G with structure of 125.3 x 66.1 x 8.5 mm and 116 grams weight. However HTC weighs about 148 grams for the phone of 126.1 x 65.4 x 11.3 mm structure. The Samsung Galaxy S2 has a bigger battery at 1650 mAh vs HTC Sensation’s 1520 mAh, not only that the Galaxy S2 is lighter at 4.1 ounces vs 5.2 ounces, and finally to top it off the Samsung Galaxy S2 supports NFC. DISPLAY: HTC Sensation is better with more popular UI and higher resolution. 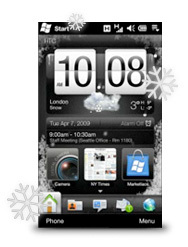 HTC has its trademark user interface of HTC Sense v3.0 UI which is highly popular among the users. TouchWiz UI v4.0 is the user interface in galaxy. Both the phones are pretty roomy as far as data storage is concerned. The internal memory capacity and the microSD card slots are capacious enough to store millions of bytes of data. The Sensation has a 1GB internal memory which is puny compared to the 16/32 GB of the Galaxy. In addition to this, both the phones, the Sensation and the Galaxy S-II, have 768 MB and 1GB RAMs respectively. Extension capabilities are same in both phones-microSD card slot of 32GB maximum capacity. It seems that each has its great sides and both are great smartphones! If you ask me which I will choose if I have to pick up one of them, I will prefer HTC Sensation 4G, because I like higher and clearer resolution. Someone may love S2 because of its beautiful shape and the efficient battery. What is your choice? Tablets are very popular nowadays. Features that easy to carry, thin, light attract people’s eyes easily! However, besides the physical features, software and smart functions are the points that users care. Tables with google android operation system are popularly used in the newly tables by famous brands like Motorola and Samsung, Acer, etc. This passage will compare ipad 2, Motorola Xoom and Samsung Galaxy Tab.All tables are available to play videos , generally can play mp4 formats videos smoothly with high quality! How to Convert DVD movies to Android?With Any DVD Converter for Android! It is easy to find out that lots of Xoom’s and Galaxy Tab’s spec. are superior to iPad 2’s. Screens: lager, both xoom and galaxy have more pixels, are both 10.1 inches, and enjoy a resolution of 1280 x 800 resolution. Ipad 2’s is a lower 1024 x 768, which is a mild point of contention for some, but not all. The Xoom’s cameras are better too. The Samsung Galaxy Tab 10.1 features an 8 megapixel rear camera, which really make it stand out from the rest. Nonetheless, both Android tablets feature superior hardware. The iPad 2′s rear camera shoots 720p video like the Xoom, but the stills are of a lower resolution. Read designed pages for a powerful DVD-to-M4V Software: Any DVD Cloner Platinum. iPad 2 is substantially lighter in the hand than the Motorola Xoom. Certainly the iPad 2 is an improvement over the original, and it is most certainly an appealing device. The Samsung Galaxy Tab 10.1 comes much closer to matching the iPad 2 in weight and thickness, however, and is much better suited for those who value having the lightest tablet possible. The iPad 2 is thinner, lighter and more powerful than its predecessor — but does it offer enough of an improvement? It’s now 8.8mm thick, which is a significant increase in, er, thinness. Compare that to the Xoom, which is 13mm thick, and the Tab 10.1, at 11mm, and in terms of slenderness the iPad 2 is a clear winner. All your apps are arranged in a grid, and you swipe across homescreens firing up programs as you see fit. Naturally you’ll also get access to iTunes and the App Store so you can download movies, music and games. Don’t underestimate the appeal of these virtual stores — the wealth of apps and things to download was one of the coolest things about the iPad, and a thriving app ecosystem will attract plenty of people this year too. iOS is super-slick, even if it is quite restrictive — Apple forces all apps through an approval process, so sometimes you don’t get the apps you want as soon as you’d like them, or at all. There’s also a major downside to iOS — no Flash support. 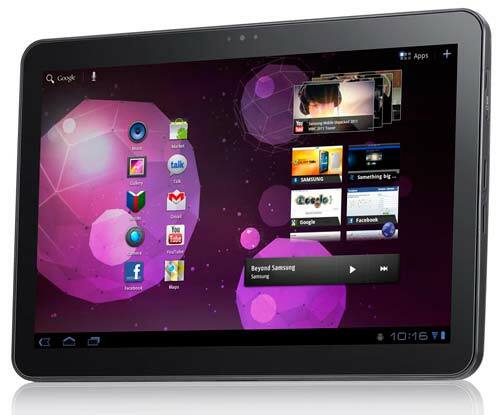 Xoom: Moto tablet is running Android, Google’s mobile operating system. Android 3.0. Ripping Blu-ray Movies to Motorola Xoom/Samsung Galaxy/iPad 2 with an All-In-One Ripping Software:Any Blu-ray Ripper. Honeycomb brings dynamic widgets, a swoopy interface and a host of new features and integration of Google services, so if you rely on Gmail, Docs and Calendar, Honeycomb tablets are definitely something to look out for. Android in general is also more flexible, and lets you do a bit more tinkering, so it’s ideal for dedicated geeks. The Xoom itself isn’t so flexible, however — it’s hefty, weighing a meaty 730g. That makes it the least portable tablet of the three. The hardware of Motorola Xoom is faster but more importantly, the software is better suited for multitasking. If you are a fan of Honeycomb’s multitasking UI & notification system compared to the double-tap-home and passive notifications you get with the iPad 2 and iOS. 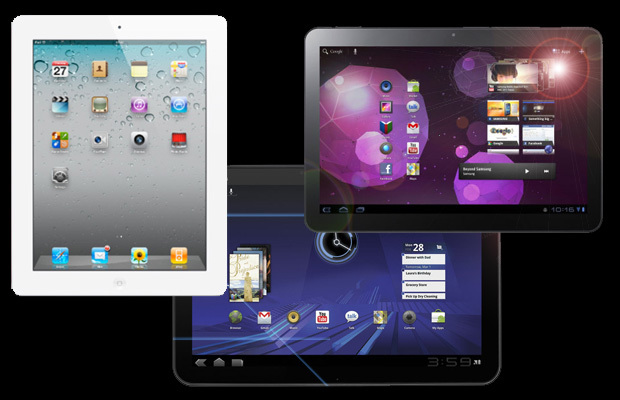 You may be more productive with the Xoom than with the iPad 2 as a result. But that extra weight has been put to good use — filling the Xoom with useful ports. As well as a standard headphone port you’ll get a micro-USB port for hooking the Xoom up to a computer, and a mini-HDMI port for exporting the tablet’s audio and video feeds to a hi-def telly. That’s super-useful if you’re going to be storing a lot of movies on your tablet. Samsung Galaxy Tab is also running Android 3.0 Honeycomb, so it’ll be very similar to the Xoom in the software stakes — expect widgets, Flash support and access to the Android Market, where you can download thousands of free apps, without Apple peeking over your shoulder checking you’re playing by the rules. Which Tablet Is Best for Multimedia? Apple’s iPad requires iTunes syncing–a drawback considering the albatross that iTunes has become on the whole. But it’s fairly good for organizing and keeping track of your media, and if the files are in a supported format, you can add your own videos to the iTunes library. If you have an iPod or iPhone, and you shop at iTunes, the iPad is a no-brainer for its seamless integration with the iTunes Store (shown here). At the moment, Google lacks anything comparable, though I can imagine Google deciding to sell music (Google Music is already a reoccurring rumor) and videos through its Market. The Galaxy Tab uses Samsung’s Media Hub to make music and video purchases, and to play them back. But Media Hub purchases are usable only with Samsung Media Hub devices, including Samsung mobile phones and televisions. Media Hub’s selection is growing, but it’s nowhere close to iTunes in depth. Enjoy Blu-ray/DVD movies on those tablets easily!Using Any Blu-ray Ripper!Have A Look Right Now! Which Tablet Is Best for Organizing Your Stuff? No currently available tablet makes managing your files easy. But the Xoom is the best bet right now. You don’t get direct access to files and folders on the device, as you do in Microsoft Windows, but plenty of third-party apps will let you access files that are aboard the tablet (and when enabled, aboard the MicroSD card) in a standard folder view. You can download content from the Web browser, like a .zip file. And in the Google image gallery, you can view image info, crop it, and share it via Bluetooth. Meanwhile, organizing apps into home screens is simple, thanks to a split-screen approach that lets you select an app and drag it to your home screen of choice–all on the device. Organizing apps on the iPad is tiresome, and you can forget accessing files stored on the device in order to reorganize, rename them, or do something with them. Apple has locked down the file system. The Galaxy Tab lacks Android 3.0’s niceties for organizing apps, but it does offer various options for sharing files. The Galaxy Tab also shows you image information, and it lets you crop an image. An accompanying app called My Files lets you view a file/folder directory of your content; but this simple app is incapable of renaming or moving files. It’s still too early to say which of these tablets is the definitive champ. If you want something for gaming, Web browsing and video chat, I strongly recommend the iPad 2 will prove extremely enjoyable to use. If you want a tablet that’s more industrious and offers more in the way of ports and media options, however, the Xoom looks like it’ll be a good choice, but be wary that more portable tablets are available. Finally, if you simply must have the slimmest, lightest gadget out there, we reckon the Tab 10.1 will be ideal for those who want to take their tablet out and about with them on whirlwind adventures.